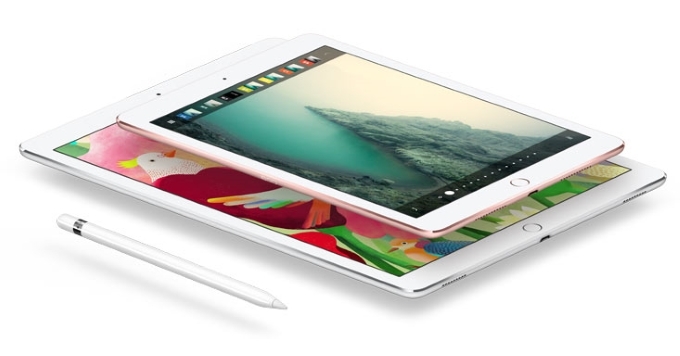 Could an updated iPad Pro become available as early as next month? There's a lot of uncertainty among analysts at the moment as it's anyone's guess as to when Apple will release the updated 10.5-inch tablet. Consumers haven’t gotten an updated iPad Pro for some time, but sources say the wait is over. Maybe. The rumored 10.5-inch devices are entering limited production next month, according to IHS analyst Rhoda Alexander in a recent conversation with Forbes. This is the latest in a series of conflicting rumors regarding the release date of the new iPad Pro, with some saying that it would arrive in the spring, at WWDC 2017 this summer, or at a date closer to the holiday season. There was even a rumor that the new iPad Pro was supposed to be unveiled in March, but instead, Apple announced several other products instead like its more affordable 9.7-inch iPad and the 128GB iPhone SE. At the very least, there seems to be a general consensus that the 10.5-inch iPad Pro is coming in 2017, so that’s a good sign that consumers won’t have to wait much longer to get their hands on this device.